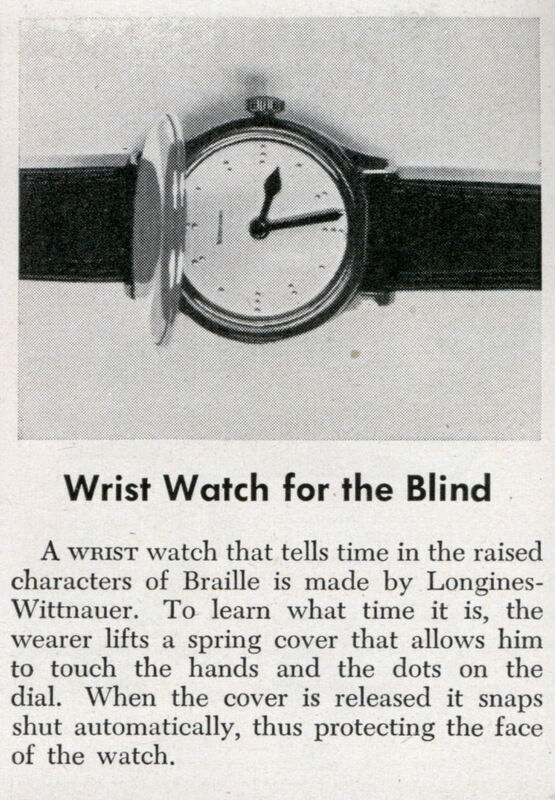 A wrist watch that tells time in the raised characters of Braille is made by Longines-Wittnauer. 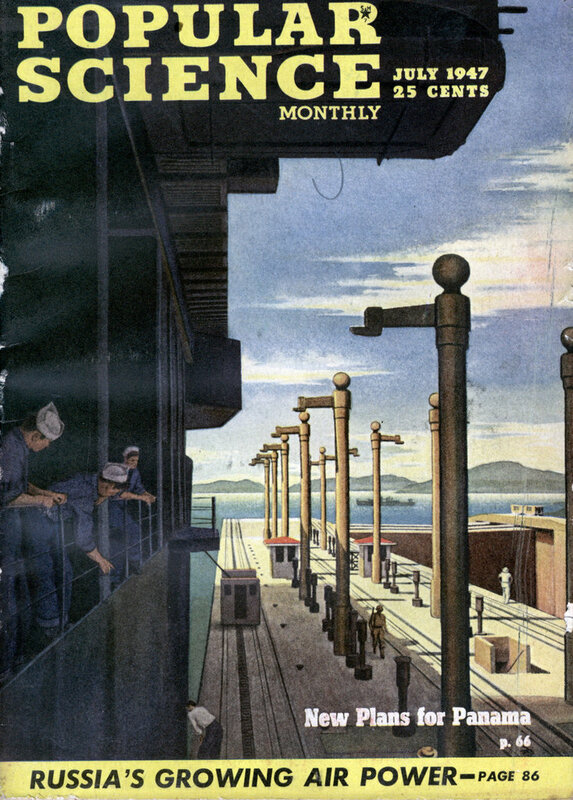 To learn what time it is, the wearer lifts a spring cover that allows him to touch the hands and the dots on the dial. When the cover is released it snaps shut automatically, thus protecting the face of the watch.